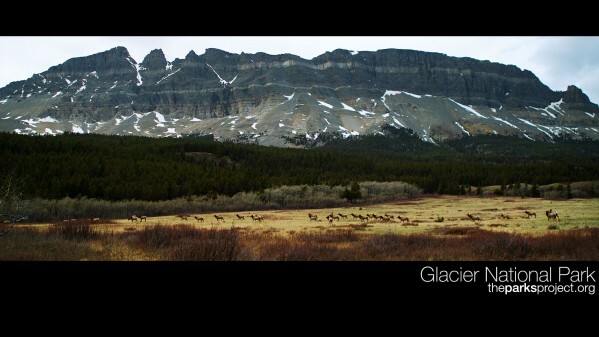 As promised yesterday, here are the 2 shots I chose of the Elk herd on April 22, 2010. Here in Glacier things are changing on a daily basis as more and more signs of spring appear. It is absolutely amazing and I’m thrilled to be able to see and share it with all of you. 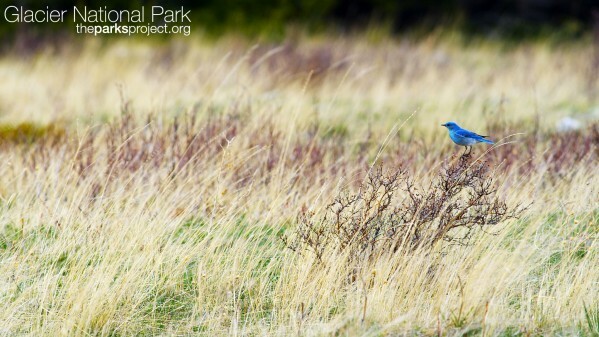 The trees and shrubs are budding, the grass is greening up and there are signs of spring everywhere! A couple of days ago I saw the first flowers of the season (the first I’ve seen that is). 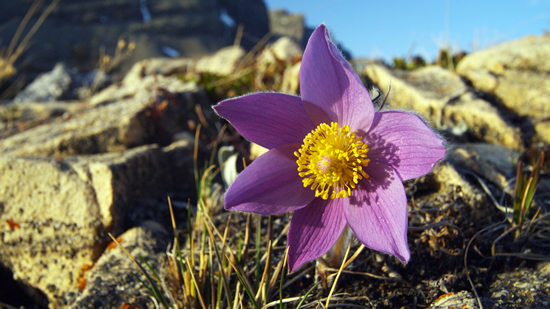 The pasque flowers were nestled among some rocks amongst some other greening vegetation. Their bright purple color in contrast to the color of the rocks and soil seemed to announce that… Spring has most definitely arrived in Glacier National Park! 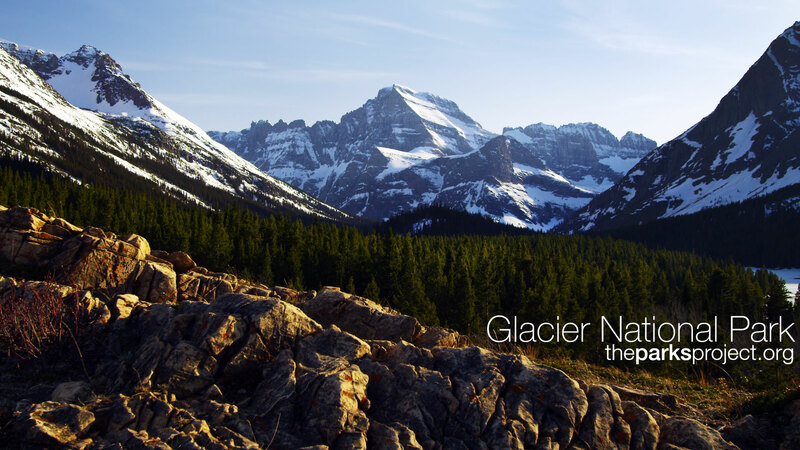 Mike got so many great wildlife shots yesterday that I ended up making 3 new wallpapers. 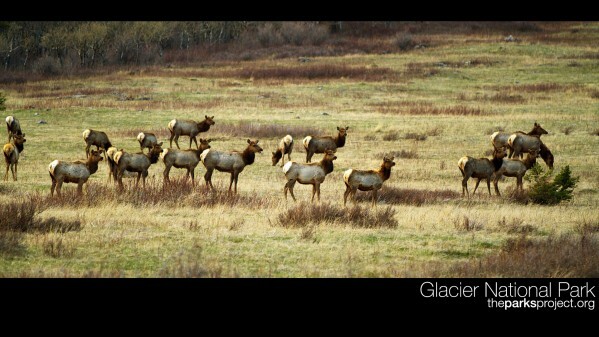 Tomorrow I will post some fantastic shots of a herd of Elk, which were also shot on the 22nd. First up we have a Comma Butterfly on April 20, 2010. Second is Mount Grinnell Mount Gould also on April 20, 2010. 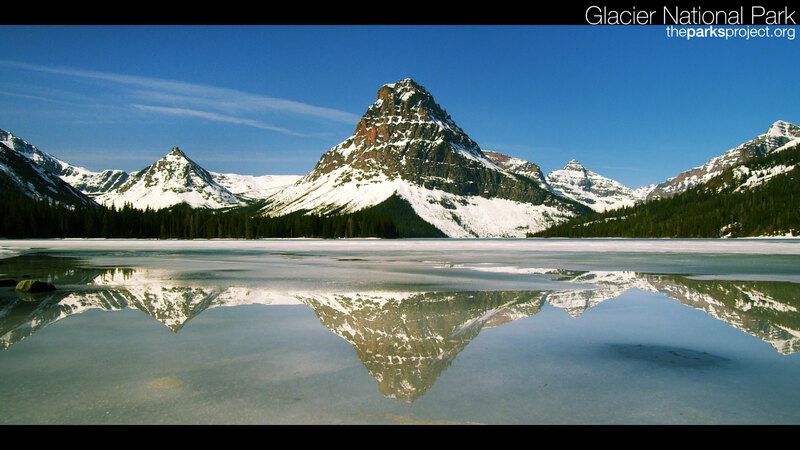 It’s great to be back in Glacier Park. We made great progress last week while I was in Helena on the Blu-ray cover. We also had the opportunity to finalize some plans with Mark Walker, an outstanding Montana musician who has agreed to provide some of the music for the DVD. Thanks Mark! 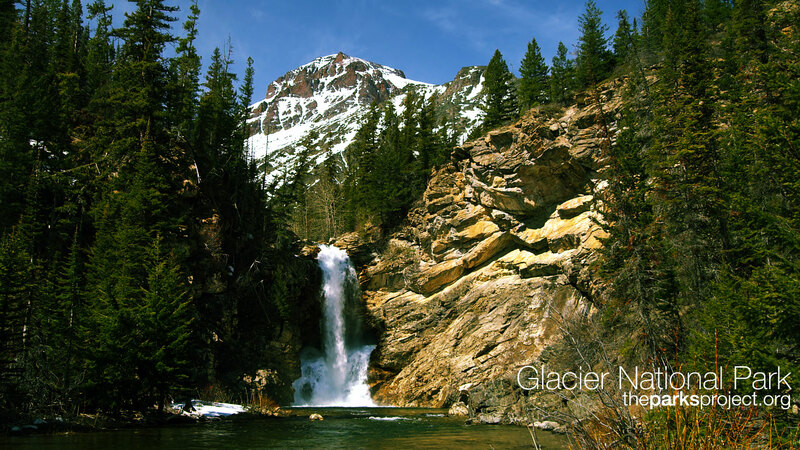 Yesterday I headed back in toward Two Medicine in order to get some shots of Running Eagle Falls and the Two Medicine Valley. 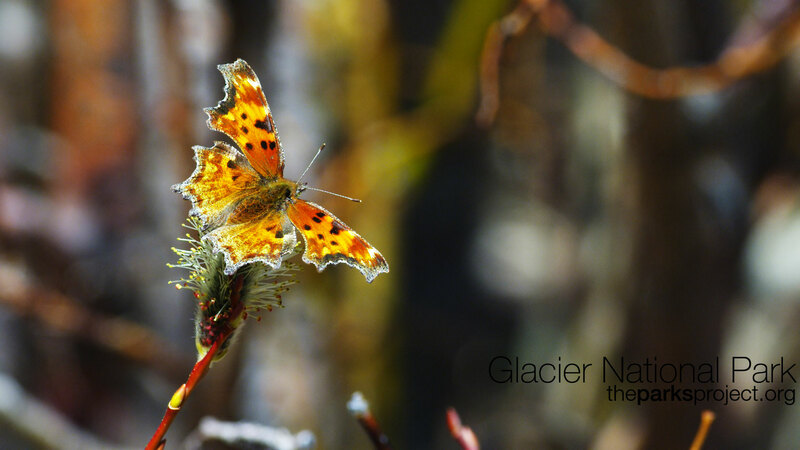 The lighting wasn’t right for the falls but I did grab some great footage of the Comma Butterflies that have suddenly started appearing. At Two Medicine I visited with a wonderful lady who was heading out to go hiking and cross country skiing near Upper Two Medicine. 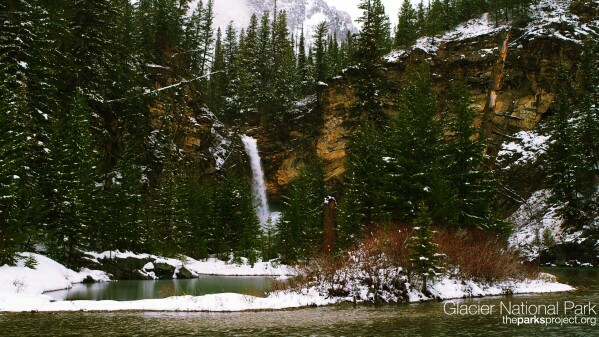 We had a chance to see a couple of amazing avalanches on the north side of the lake. Of course by the time I got the Red camera fired up I was only able to catch the last few seconds. It was pretty darned dramatic when it was happening. The avalanche made a thunderous sound as the snow moved down the mountain which reminded me of the sound that glaciers in Alaska make when they are calving. Later that day (after a couple quick sandwiches back in East Glacier) I headed toward Many Glacier. I met a gentleman named Mike who works seasonally for the Park. He had spent some time during the previous couple of days in Many. 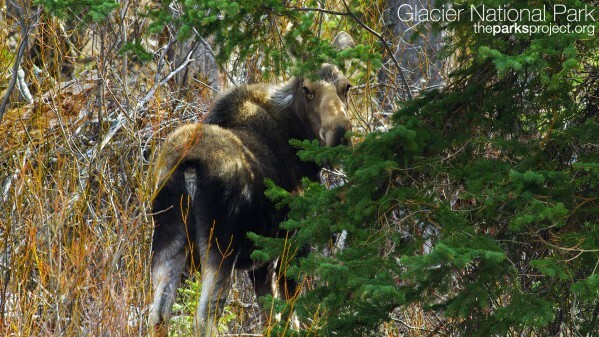 Mike indicated that he had seen a number of moose in Many Glacier and then someone had reported seeing a cinnamon colored bear a few days ago. 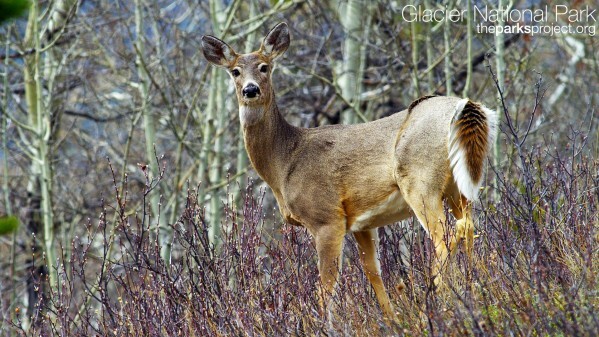 It is great to start catching glimpses of wildlife throughout the Park. 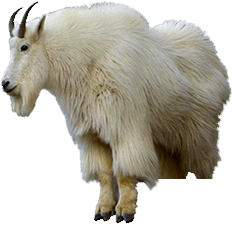 Hopefully I’ll be able to capture some shots of Glacier wildlife to share with everyone in the next few days. As you can see, we have redesigned The Parks Project website. 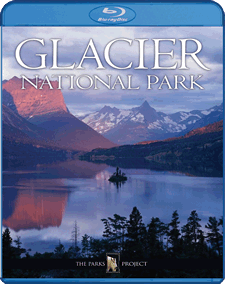 It now matches the theme and branding of the Glacier Blu-ray cover art. And speaking of cover art, here is the tentative case design. There will probably be a few more things added to it, but this is what the Blu-ray will look like on the store shelf.